Riyanna, who finally received her voter ID card on Tuesday, will be one among several members of the transgender community who will be voting for the first time. As the entire nation gears up for the Lok Sabha Elections, 22-year-old Riyanna from Bengaluru is all smiles as she is set to cast her vote for the very first time. “I have been applying for a voter ID card for the past three years. After having my application rejected 11 times, I have finally got it now,” she says. Riyanna, who finally received her voter ID card on Tuesday, will be one among several members of the transgender community in India who will be voting in a major election for the first time. Riyanna says she applied for the voter ID when she turned 18 but was rejected 11 times until she finally got it recently. “Getting the voter ID itself was so difficult for me because my application was rejected because of confusion. Despite being a citizen in the country, it was so difficult for me to get the ID because I am a member of the transgender community. But that is all the more reason that it is important for more people from the community to vote,” says Riyanna. The 22-year-old resident of Bengaluru will be voting from the Bengaluru Central on polling day. As she recounts the stress of obtaining a voter ID card, she emphasizes how crucial it is that everyone votes. “Something as simple as applying for a voter card becomes so difficult and complicated when you are from the transgender community. After having my application rejected so many times, I finally approached the Shantinagar MLA and told him about the difficulty I was facing in obtaining the voter ID. 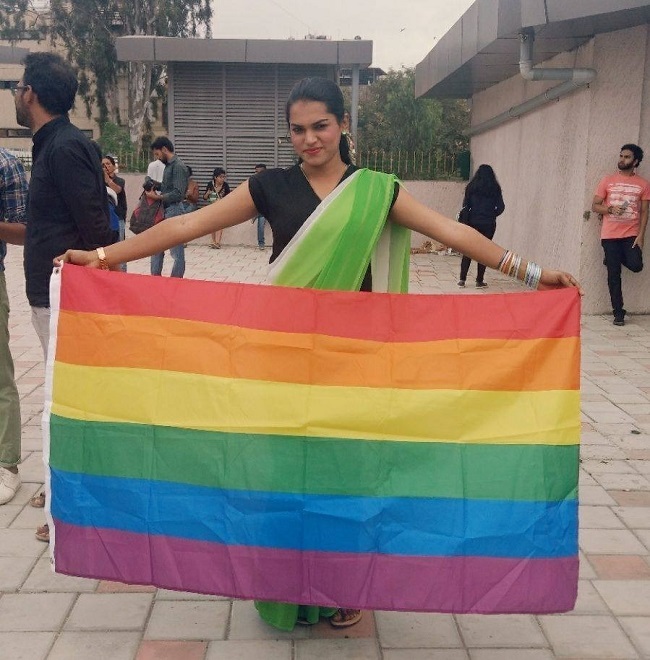 It was with his help that I was ultimately able to get my voter card,” she says, adding that this is why she feels it is important to have government representatives who are sensitive to the problems faced by transgender people. There are three major issues Riyanna feels need to be addressed for the betterment of transgender people in society: shelter, education and medical insurance. “I am one of the lucky ones, I get to stay at home with my family and I have a job. But what about the people who have been kicked out of their homes and have no place to go or no one to support them? It is crucial that the government helps to provide shelter for trans persons who require it,” she says. Riyanna also stresses that equal education opportunities be provided by the government to members of the transgender community, which she feels is how they will also be able to contribute to the betterment of society.